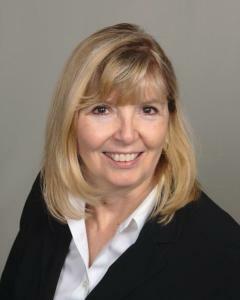 Maureen Dorgan Clemens is a physician consultant, clinical lead and member of the Advisory Team for VITAL WorkLife. As an Executive Coach and consultant, she works with physicians, clinical teams and administrative leaders in order to increase effectiveness in the areas of leadership, communication and team work. Maureen’s clients are physicians who are new leaders expanding their leadership skills, current leaders who are negotiating the stress of increasing demands in the work environment and those trying to develop balance in their work and personal life. An additional area of expertise includes physicians who have been referred for help regarding disruptive behavior. Maureen has over 28 years of experience in working collaboratively and effectively with health care leaders and physicians. She has consulted, trained and coached many physicians, executives, healthcare leaders and supervisors regarding the topics of leadership, effective communication, collaboration, effective team work and conflict resolution. Maureen has helped those she has coached to further develop their strengths in order to navigate the demanding healthcare environment. Maureen is a Certified Physician Development Coach and one of her areas of practice is coaching individuals with disruptive or unprofessional behavior. Her coaching program is designed to help participants increase self-awareness, develop more productive communication skills and identify effective strategies to deal with stress. She provides services to physicians at all levels of the organization including those in leadership positions as well as residents and fellows. Maureen has facilitated and participated in behavioral interventions with physicians and residents and also helped design a Physician Peer Mentor Program based on the Vanderbilt University Medical Center model to train volunteer physician mentors to intervene with colleagues in the early stages of problematic behavior. Maureen Dorgan Clemens holds a Master’s degree in Clinical Psychology (MS) and is a Licensed Clinical Professional Counselor. She has earned a Physician Development Coach Certification from the Physician Coaching Institute. Maureen is also certified to administer and debrief DISC assessments as well as 360 Degree Feedback. She utilizes other tools such as Emotional Intelligence (EQ) and leadership assessments, is a certified Alcohol and Drug Counselor and holds a certificate in Human Resources. Stress and Burnout is a major concern for physicians and advanced practitioners, affecting individual well being, work/life balance, relationships and professional performance — all impacting patient care. 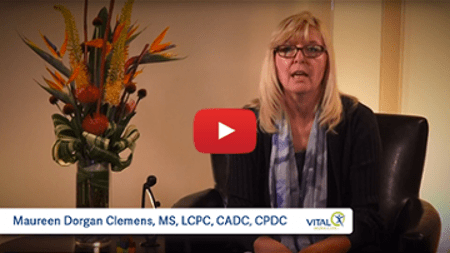 Maureen Dorgan Clemens, MS, LCPC, CADC, CPDC shares how to identify stress and burnout and what you can do about it.